We've all heard the expression, "a face for radio," right? Well, what does that say about Radio Pudding? I'd never heard of such a thing until I paged through a cookbook from the 1930s called Butter-Made Is Better Made. 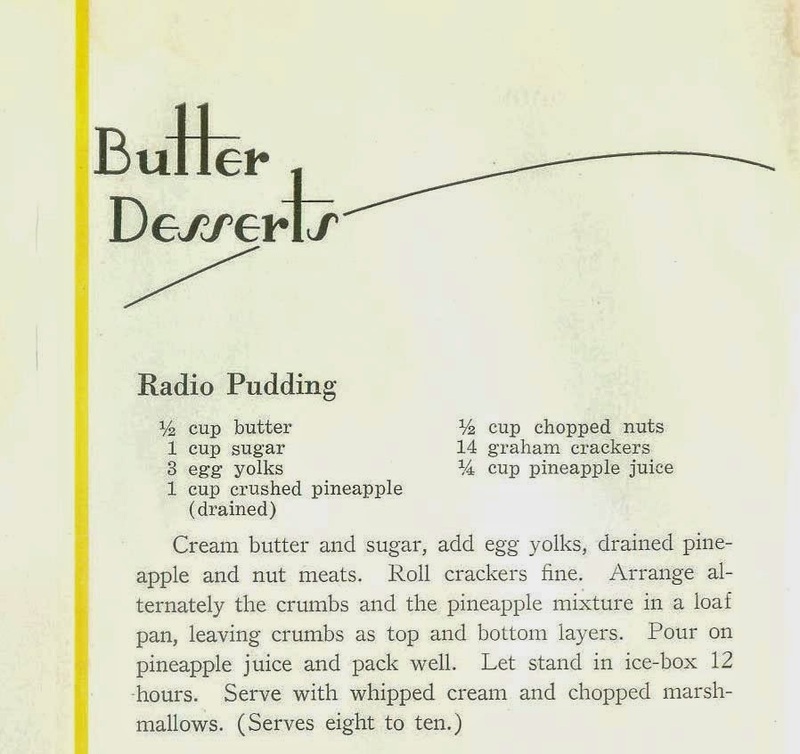 After reading the recipe, I'm pretty sure this is a dessert made for a radio stomach. But you tell me... Does it sound yummy? And if you make it, pretty please tell me! UPDATE: 1/29/2014 The amazing S.S. tried it and posted a complete review at A Book Of Cookrye. She's got a contest there too, so if you love recipes be sure to enter!